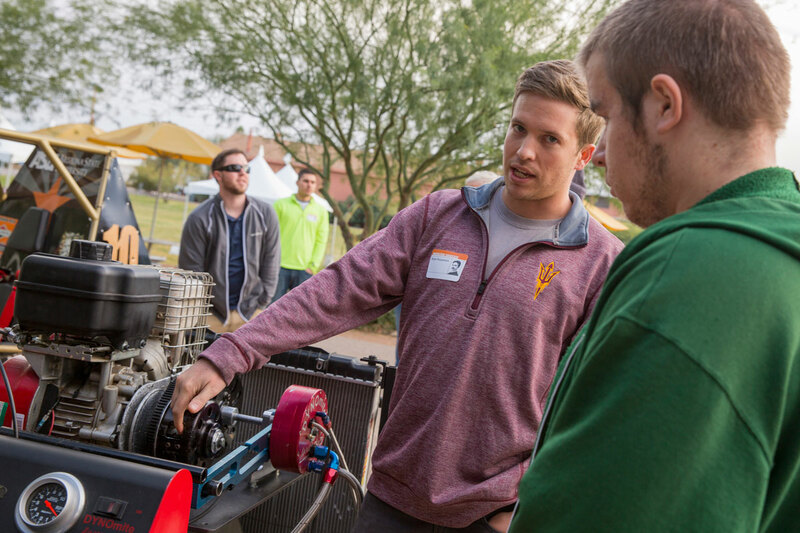 Before they even graduate, students at Arizona State University’s Ira A. Fulton Schools of Engineering already have hands-on experience solving real-world industry challenges. 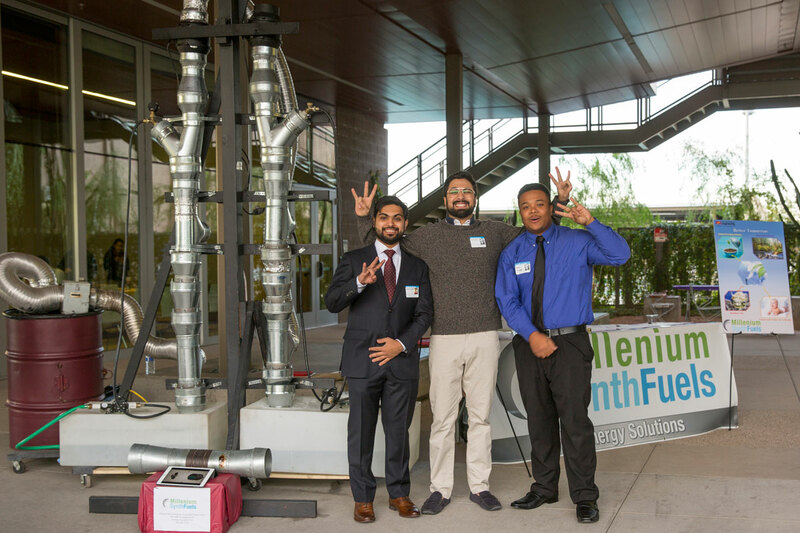 As part of their senior-year capstones and eProjects, students in the Polytechnic School, one of the six Fulton Schools work with industry partners to design and create solutions to real problems posed by the partner companies. 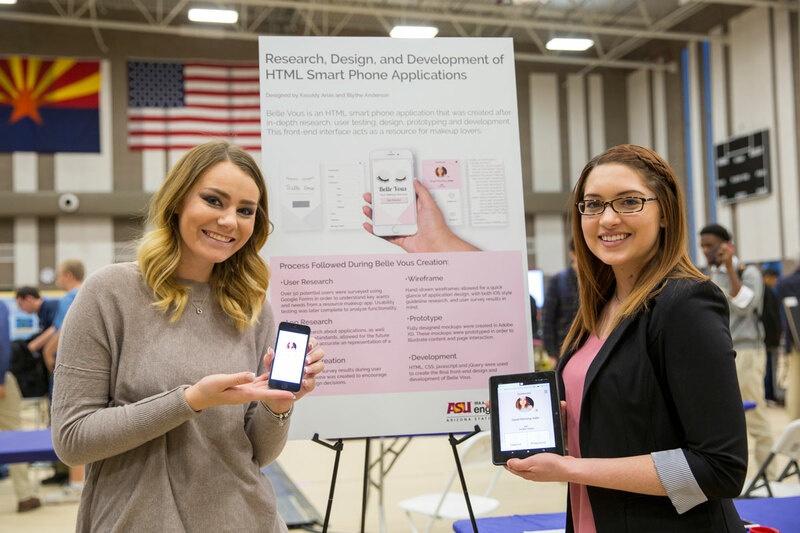 These students then present their work at the Innovation Showcase, an exhibit that takes place at the end of each semester at the ASU Polytechnic campus. 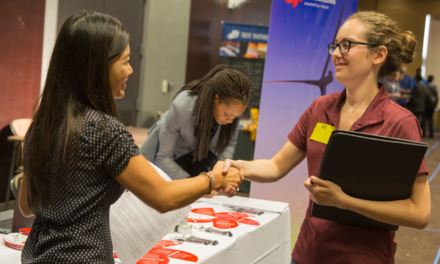 These solutions, presented by more than senior students, span a wide variety of industries, including electronics, manufacturing, additive manufacturing, aerospace and aviation, computing, robotics, human systems engineering and graphic information technology. 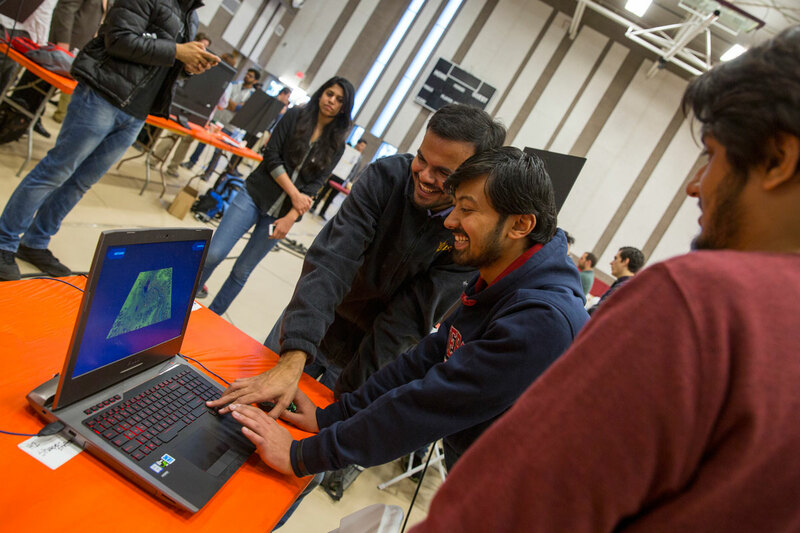 Students are paired with industry partners, who provide a challenge along with a set of constraints and criteria, from which the student teams brainstorm ideas, pitch them to the company and develop their idea into a working prototype. 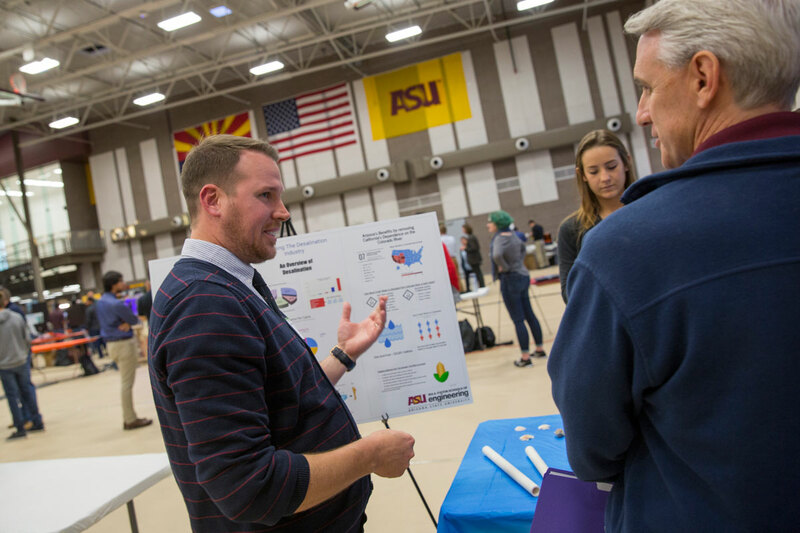 This year, 27 industry partners participated in the engineering eProject capstone activities, supporting 41 student teams. Manufacturing engineering senior Stephanie Bryan and her team worked with Starkey Hearing Technologies for their year-long eProject to help integrate additive manufacturing into their advanced hearing aid manufacturing process. 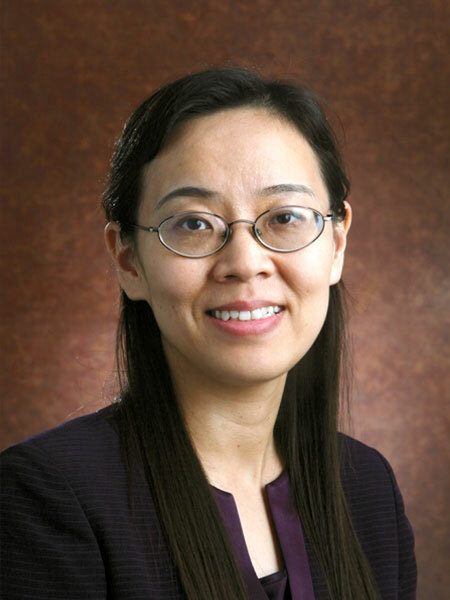 Starkey wanted to understand how to apply customized 3D printing methods for their hearing aids, versus the standard injection molding methods. “The main goal of our task was to find a way to embed a tiny little circuit board into a hearing-aid-shaped, 3D-printed enclosure and have the circuit be fully functional,” Bryan says. 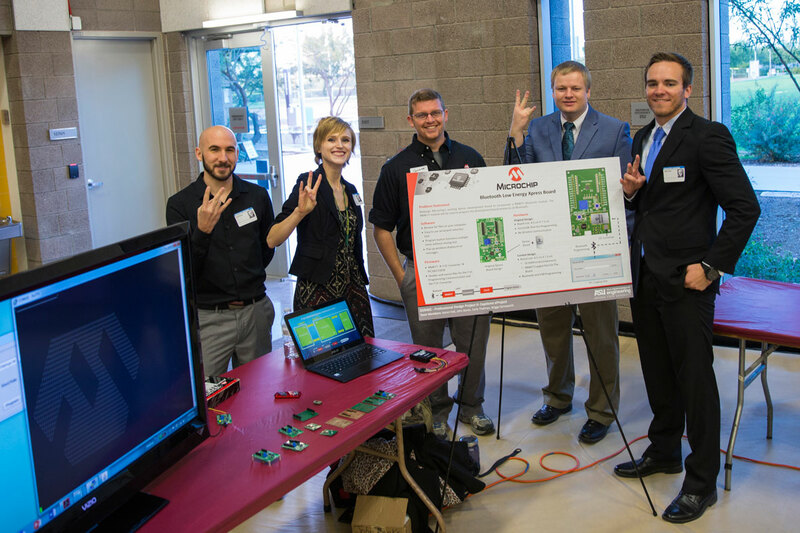 At the Fall 2016 Innovation Showcase, the Starkey student team presented the successful outcome of their 3D-printed hearing aid device. 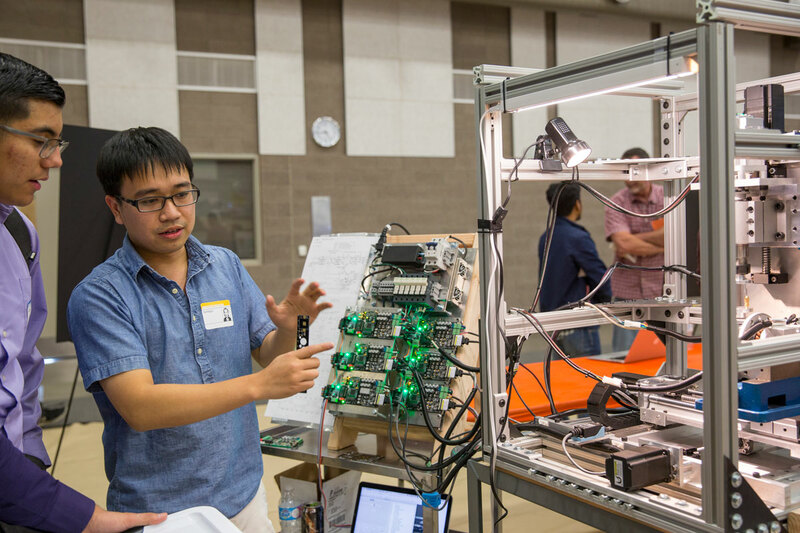 To get there, they altered the 3D printer firmware, developed the engineering process to build the shells and load the electronics and created a detailed operations manual. Parker Feldmann, also a manufacturing engineering senior, presented his eProject at the Innovation Showcase last semester. He and his team worked with Nammo Talley from Mesa, Arizona, to replace human visual inspection of high performance ammunition with machine vision systems in a high-volume production environment. He and his team were tasked with designing the concept, prototyping a system and understanding the system cost. 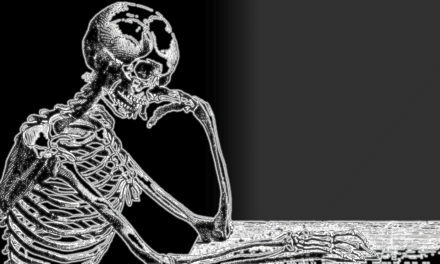 “The entire time it was designing the concept, talking to the company to make sure it’s what they wanted and then edit and rinse and repeat until they’re happy with the design for you to build it and prove that it works,” Feldmann says. Working with changing criteria and in a diverse team were often big challenges, Feldmann says, but it prepared them for the workforce. For Bryan, it was an informative experience working directly with industry partners. 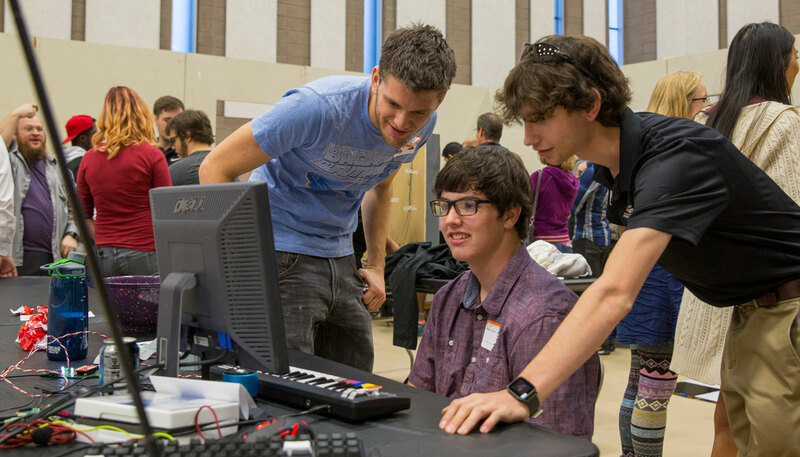 These projects are mutually beneficial for students and industry participants alike. 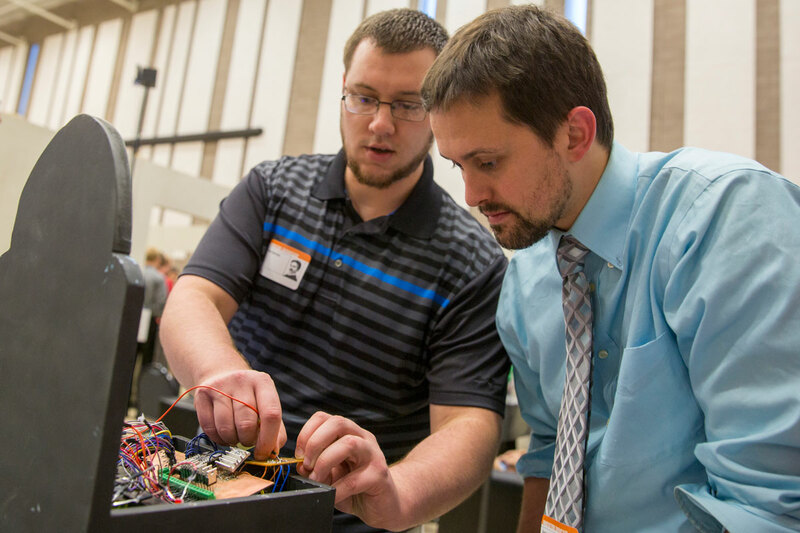 Bob Rasmussen, director of technology strategy and advanced technology at Honeywell Aerospace, says it gives his company the opportunity to bring real-world problems to students. It also brings inspiration to Honeywell employees. That creativity can also earn students industry jobs after they graduate. 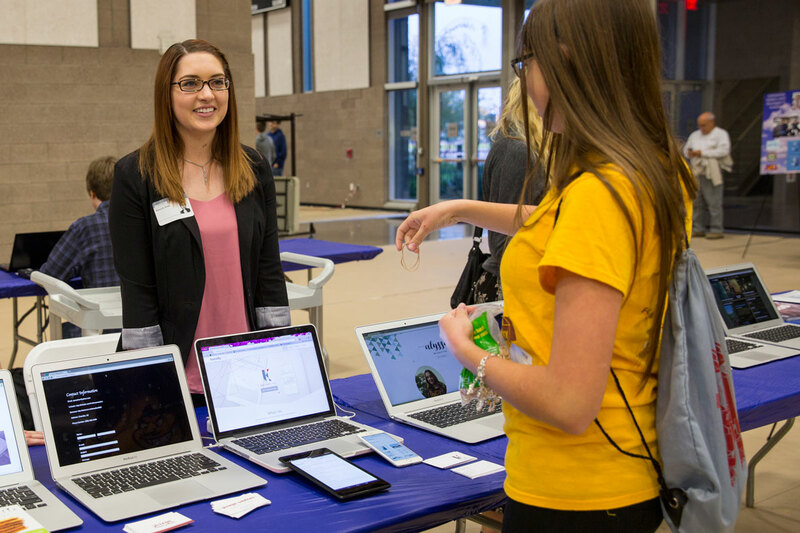 The program attracts industry partners from far beyond the Phoenix metropolitan area. Starkey Hearing Technologies, for example, is located in Minnesota. Project partners have come from Canada, Massachusetts, Texas, New Mexico, Michigan and all over Arizona, with small and large companies participating. Each year the U.S. Air Force provides a challenging eProject competition as well. 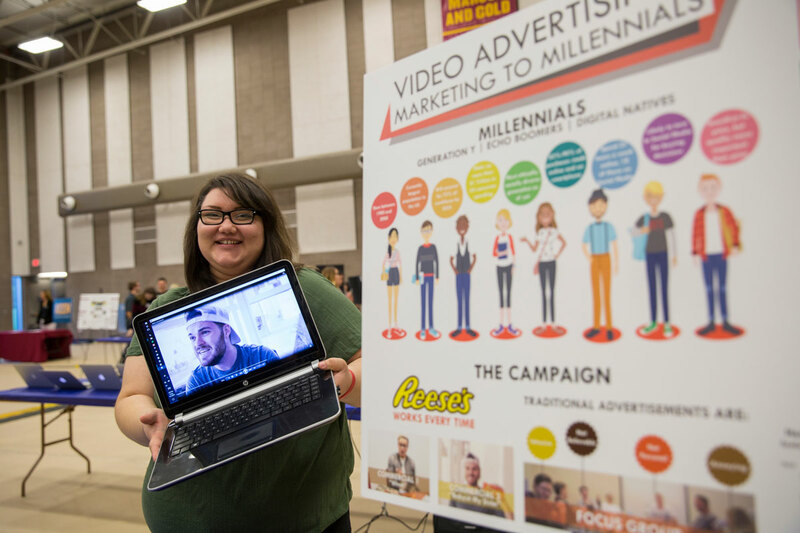 This is not the only time students work like professionals, and that is what students like Bryan and Feldmann enjoyed about their program. Both Bryan and Feldmann are going on to industry jobs after they graduate this December — Bryan at a local systems integrator in Chandler, Arizona, and Feldmann at the Tesla Gigafactory outside of Sparks, Nevada. They appreciate how their programs have set them apart and prepared them for their futures.